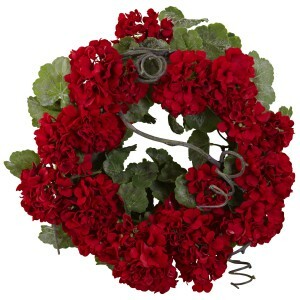 This giant splash of red adorning any door or entryway is certain to engender the feelings of romance in full bloom. 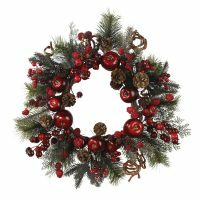 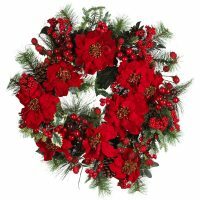 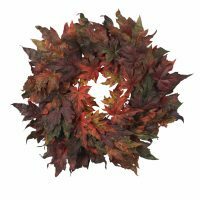 The Geranium Wreath has a diameter of 17″ inches, so it is large enough to impress without being too overwhelming. 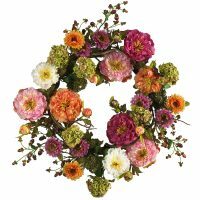 The beautiful greenery behind the floral arrangement adds a pleasant color contrast, making it an ideal floral choice for a spring or holiday selection.